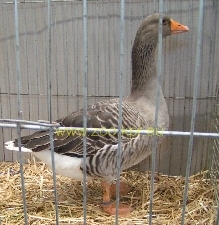 The Alsatian Goose is a breed of domestic of domestic geese that was developed in France. It is a well-known table bird, and its meat and liver are used in many popular French dishes. 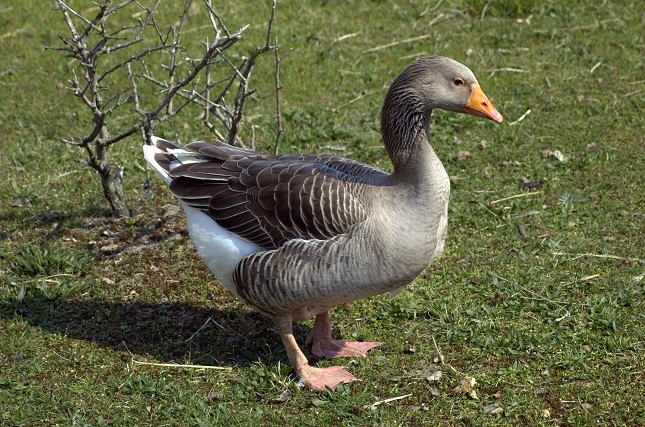 The name of the Alsatian Goose had been derived from the region named Alsace in France, the place where this breed was developed. These geese have a small size and were used for meat and their liver as food by means of force feeding and developing fatty liver. The geese that were selected for such a purpose had smaller legs and wide bodies in order to let the internal organs grow. They are well-known table birds, and were used for popular delicacies like ‘Pâté de Foie Gras’ – a luxurious French food made of the liver of a goose or duck that has been specially fattened for the purpose. However, those geese that were considered unusable to serve the purpose are either roasted, or are used for other recipes. In Alsace, these geese are a popular choice on St. Martin’s Day held every 11th November. On which day, cooking goose roast is a tradition. The fest is called the ‘Martinsgans’.